At binarytides.com we publish how-to guides, articles and tutorials on topics related to open source software, linux, server administration and linux distributions like Ubuntu, Fedora, Linux Mint etc. We accept only graphical banner ads. Available placements include the sidebar area, below the existing adsense ad unit. 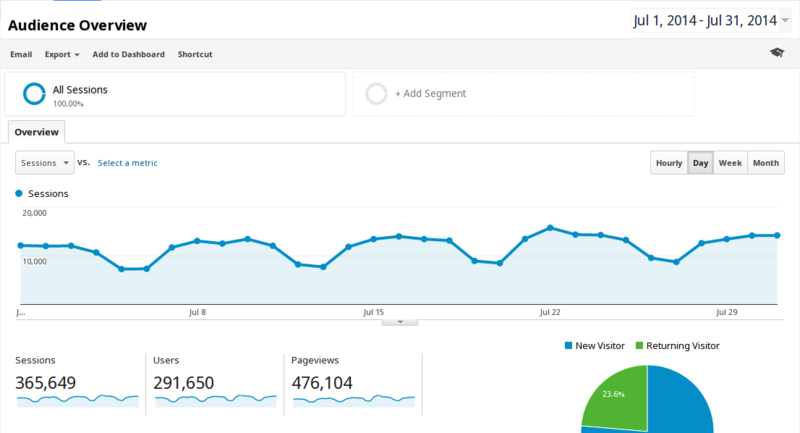 Here are some traffic and rank related statistics of binarytides.com for the time period July 2014. 1. We do not accept any kind of paid posts, or reviews. So please do not send any such requests. 2. We do not provide paid tweets, facebook posts or google+ posts.